Finance Magnates sat down with the CEO of the firm to discuss technology, education, and Formula One. 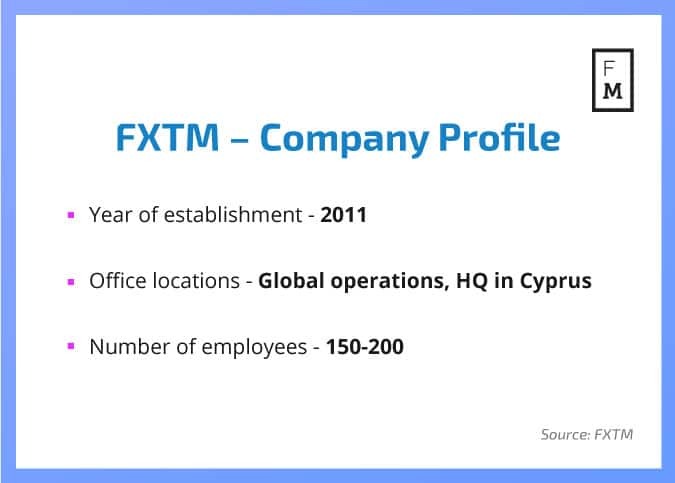 FXTM is a CySEC-licensed firm that provides international brokerage services and employs over 150 people. It has partnered with the Sahara Force India Formula One TM Team for the 2017 season. CEO Olga Rybalkina took some time to speak with Finance Magnates. Please tell us about yourself and how you reached your current role. What brought you to FXTM and what has your journey with the company been like so far? The world of forex is one of constant change and that means it is always challenging and dynamic. 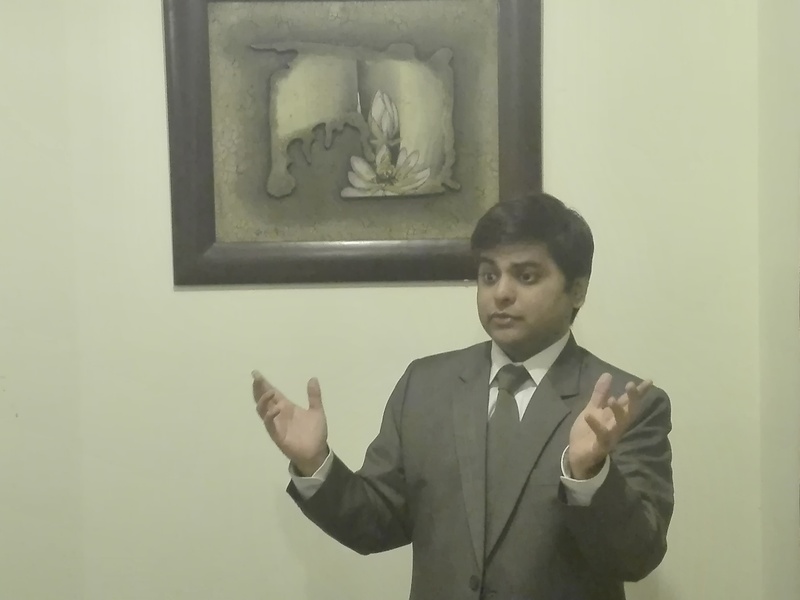 It is a place where my skills as an innovator in the industry can really get traction. As the CEO who helped found the company, it has been a great experience to witness the evolution of the company and to see it continue on the path of exponential growth. The success of the business is high on the list of my most important achievements. You recently announced your sponsorship of the Sahara Force India Formula 1 team. What steps led you to choosing this partnership? We have always believed that partnering with an inspirational brand who had a good news story to share, would be good for our brand too. We put in a lot of time and effort to source the right kind of sponsorship, and when the opportunity to partner with Sahara Force India presented itself, we immediately knew it was the perfect fit. We have had great success with sports sponsorship in the past so we wanted to build on this. Our main criteria in choosing a partner was to find a partner with whom we shared synergies and who also expressed our values. The synergies manifested in the fact that we have both gained international success in a very short space of time, and we’ve achieved this with fewer resources than other big name competitors. Notwithstanding all of this, from a pure branding perspective you cannot ignore the sheer mass of the market that Formula One TM attracts, it is an extremely popular sport with over 400 million followers, so it makes sense to align ourselves with one of the top teams in this high profile event. Why do you think sport sponsorships are so popular? We know that if we want to engage and capture the imagination of our clients we can no longer rely on traditional channels to communicate with them. The advertising space is cluttered, so smart business know they need to look for alternative platforms to expose their brands. Sports sponsorship cuts through the clutter and exposes the brand to far more people than a publication or even above the line advertising. People love sport and by default, any company that sponsors a popular team or individual is going to get attention. What parallels can be drawn between Formula One racing and the forex Industry? There are many; technology is at the heart of any Formula One TM team and every year sees a new set of advances, rules and guidelines. Like the forex business, they are heavily regulated and have to adhere to the rules put in place by the governing bodies. Both industries are faced paced, global and have a high level engagement with the public. Going back to FXTM-what do you think sets you apart from the competition? We have a strong focus on consumer education, it is the cornerstone of our customer value proposition. We have produced a vast volume of videos, tutorials and training programmes over the years and we continue to add to our already significant educational resources. Our Head of Education Professor Andreas Thalassinos is a highly respected expert in the forex arena and he conducts seminars and training programmes across the globe. We have also launched a series of leading edge services for our clients, for example we were among the first brokers to offer physical bullion gold to our clients, and were one of the first brokers to offer hedging on the MT5 platform. We also focus a lot of our attention on technology; speed of execution is vitally important to a trader and we offer exceptionally fast execution times. We are in exciting but also volatile times in terms of currency markets. Never before have we experienced such upheaval in world economies. The election of Trump, Brexit, the internationalisation of the RNB, the refugee crisis and the political turmoil in many MENA countries have affected the industry. Unpredictable events and influences will always play on centre stage of a trader’s strategy. There is a lot of speculation about where currency markets are headed, ideas and opinions range from a single world currency to full automation of trades. The industry is fluid, and as such there is no such thing as a current state, it is always in a state flux. It is impossible to predict with 100% certainty any financial market, but if we are looking at growth – that is firmly planted in technology. With technology taking centre stage we see huge potential in the mobile space. We are constantly refining our mobile app to embrace the shift from desktop to on-the go trading. Our ForexTime App has been specifically designed to give the client a 360-degree view of the trading environment in one place. The app allows users to receive on-the-spot updates on the financial markets, open and fully verify a trading account, deposit and withdraw their funds and download the trading platform of their choice. We are planning to add even more functionality in the future. We are also seeing increased interest in our FXTM Invest solution that allows investors to connect with the appropriate strategy managers and follow their strategies. Looks to me as a very strong and stern leader. Good interview. OH please, not her. she;s so fake! Nothing in the above is innovative, its just smaller companies standing on the shoulders of giants so they can trace their footsteps years later once ground has been broken. That being said, what they do, they do reasonably well, even if it is somewhat in the grey area.